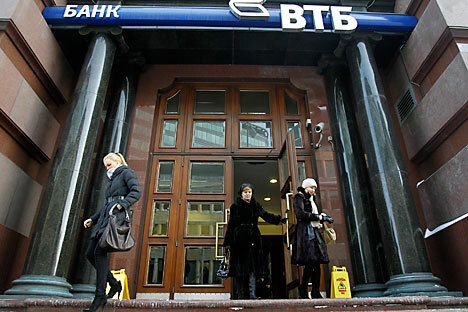 Russia's privatisation programme kicked off on February 14 when the government sold a 10% stake in the country's second largest bank, the state-owned VTB Group. "This is… proof of trust in the Russian financial system," Prime Minister Vladimir Putin gleefully told the press after the deal was closed. However, the secondary public offering (SPO) of the stock was met with only lukewarm, but sufficient, demand from investors. The bank’s management claimed that the SPO order book was two times oversubscribed. Among the buyers were Generali ($300m) and TPG ($100m), in line with pre-deal expectations. Sovereign wealth funds and similar investors also participated, including funds from the Middle East, Europe and Asia, including China. VTB's stock was initially offered in May 2007 in what was dubbed at the time as "the people's IPO" and raised $8bn in the biggest IPO of that year. Small investors flocked to the sale, spending about $1bn on shares, but the government was left with egg on its face after the share price tanked as the US sub-prime crisis started to unfold, ending in a market crash in September 2008. The share price has never fully recovered: the state sold global depository receipt shares to international investors at a price of $10.56 during the IPO, but was only able to muster $6.25 with the SPO this time round, raising $3.3bn. Understandably, Russia's retail investors are still hopping mad with the state's "people's IPOs" and the debacle has badly impaired the state's ability to float more companies now the already skeptical general public has only had its suspicious about the government's investment promises reinforced. Still, at least the state was able to sell the shares to willing investors. Prior to the VTB IPO, the state struggled badly with the $10.6bn IPO by state-controlled oil firm Rosneft in 2006 and had to lean on Russia's leading oligarchs and foreign partners like UK oil company BP to buy shares and rescue the deal, which would have failed without them. And the fact that the Kremlin got the IPO off the ground at all should impress given the awful market conditions at the moment. After a strong run in 2010, equity investments into emerging markets have done badly this year as hot money floods out on the back of rising inflation fears that investors believe may derail the investment story. In the two weeks prior to the VTB deal, investors took out over $10bn from emerging markets, some of the biggest redemptions since the crisis began in 2008. But not Russia. As investors fled the emerging markets, Russia was the only major country to attract net new money - $267m of direct investment - for the fourth week in a row in the run-up to the VTB deal. Having largely missed out on the investment rally in 2010, the Russian market remains even cheaper than normal (and it was already the cheapest major stock market in the world last year). With price/earnings ratios down to 7x and on their way to 6x this year, against P/E ratios in the middle to high teens in other Bric countries, the traditional logic that has driven much of Russia's equity investment in the past has started to kick in: it doesn't matter how bad Russia's image is, at these prices stock valuations can only go up. VTB's SPO was certainly not a smashing success, but it will be enough for the government as it looks to sell stakes in more blue chips as part of an effort to fund an enormous RUB1 trillion ($33bn) investment programme into badly needed infrastructure. The state has also said it wants to get out of business. Taking stock in exchange for various loans and bailouts during the crisis, the Kremlin doubled its ownership of listed companies in the last two years and now controls about 40% of Russia's total market capitalisation. "The state is now the biggest shareholder in Russia and so, for once, its interests are aligned with those of investors, as it wants to see the market do well even more than anyone else,” says Chris Weafer, head of strategy at UralSib. The privatisation effort is also intimately linked to the ongoing fight against corruption and boosting productivity, as the Kremlin has realised that employees steal from publicly owned companies, which are all badly run. A whole raft of public sector reforms were drafted last year that are due to be implemented in 2011 and 2012. Next up will be an SPO of state-owned retail banking giant Sberbank, the biggest bank in the country and the bluest of Russian blue chips. The share sale is slated for the end of this year, or possibly the start of next year. "Russia is shifting to a 'target-based' budgeting process for the public sector. The lion's share of budget funding will be allocated to some 50 programmes run by various ministries. Financing will be determined on the basis of how well each programme hits its established targets. The new approach will be first applied in the drafting of the 2012 federal budget,” says Seija Lainela of the Bank of Finland. All in all, the state plans to raise RUB1.8 trillion ($60bn) in the medium term through the privatisation of about 900 state-owned companies. For 2011 to 2013, revenues are expected at RUB298bn, RUB276bn and RUB309bn, respectively.